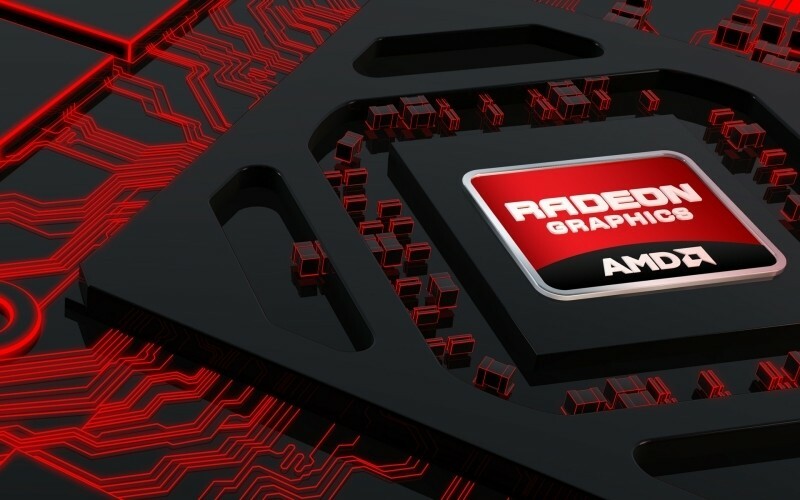 Many in the PC gaming world are turning their attention to AMD’s upcoming Radeon R9 300 series launch and specifically, the R9 390X. According to the latest scuttlebutt, this card will ship with two different SKUs – an air-cooled version and a water-cooled variant. The air-cooled R9 390X will feature a lengthy reference design like we’ve seen with higher-end cards in the past. The water-cooled model, however, is said to use a much shorter PCB that’s roughly the size of Nvidia’s GeForce GTX 970 reference design. AMD is planning to use HBM, or High Bandwidth Memory, with the water-cooled SKU. For those not familiar, HBM replaces the typical memory chips surrounding the GPU package with 3D-stacked DRAM dies that are all packaged under the same IHS alongside the GPU. Current rumors suggest we’ll see 8GB of video memory, GCN 1.2 architecture, 4,096 stream processors, 256 TMUs, 128 ROPs and a 4,096-bit wide HBM interface that’ll result in a memory bandwidth of 640GB/sec. None of this should be a surprise really as rumors of AMD using HBM date back to at least a year ago. What may come as a surprise, however, is that AMD is reportedly planning to ditch the DVI connector on its reference board. The board will instead offer three DisplayPort connections and a single HDMI 2.0 port. Most expect the new cards to show up at Computex early next month meaning they could be available for purchase by the end of June.